At the French Seminary of Rome, he was in charge of the bookstore, whose profits went to the poor children of the catechism classes. He was also M.C. and fulfilled his functions gracefully. 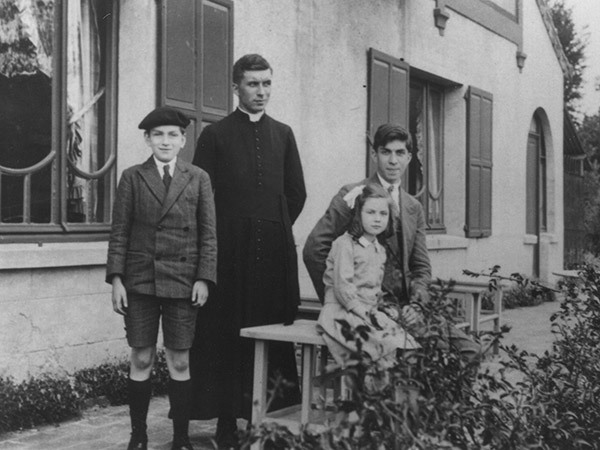 Pious without display, “he was an unassuming confrere, who made no noise at all.” His most ordinary actions were filled with a religious spirit and during his last year, his daily Mass was a model of modesty. But, “he already had a strong personality with very determined and well-rooted convictions,” that he revealed when the healthy doctrine seemed to be at stake or when St. Thomas Aquinas’ position was attacked; and he knew how to defend them! Allow us to point out the contrast, already mentioned by witnesses, between his rooted convictions that won him the nickname sana doctrina petrificata (the healthy doctrine petrified! ), and his affability and sense of organization that earned him an aura of amiability. What was the key to this troubling psychological duality? In reality, Marcel did not have a closed mind, but rather a strong will that made of him a man of convictions. Fr. 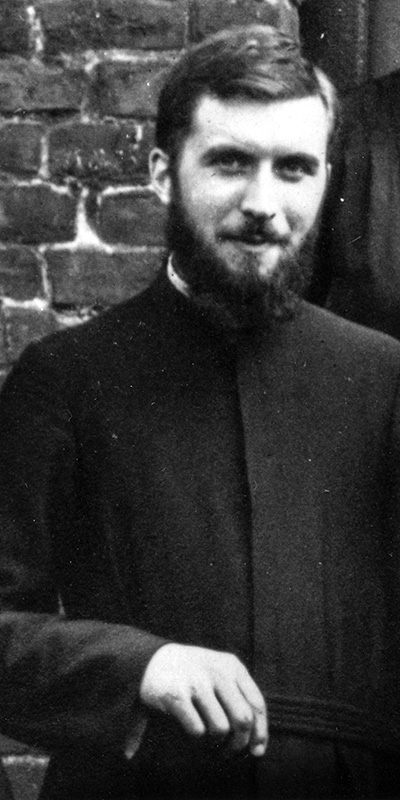 Marcel Lefebvre at the Holy Ghost Fathers’ noviciate. "A young priest remarked that Archbishop Lefebvre 'beneath his affable and very courteous exterior, was inflexible in his ideas.'"